What happens when children outgrow their imaginary friends? 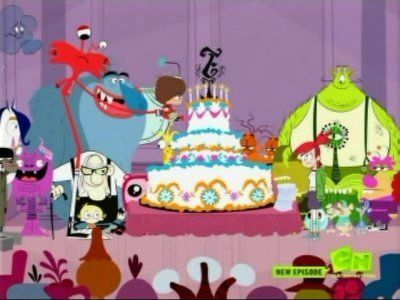 They take them to Madame Foster's Home for Imaginary Friends, a vast Victorian mansion with endless rooms and hundreds of thought-up playmates. At the heart of the story is Blooregard (aka Bloo), an imaginary friend created by an eight-year-old boy named Mac. Although he's usually shy, Mac feels confident when Bloo's around. Bloo, on the other hand, is bold and self-assured, and often gets himself into a mess by acting before he thinks. Follow the adventures of Mac and Bloo in a world where imaginary friends actually come to life. 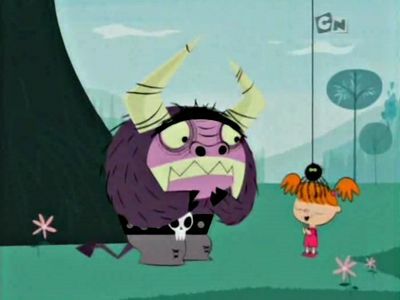 Nothing is ever mundane when you hang out at "Foster's Home for Imaginary Friends"! #1 - Who Let the Dogs In? After Eduardo finds a puppy when he was taking out the trash, he decides to keep it, despite the fact that dogs are not permitted inside the house. 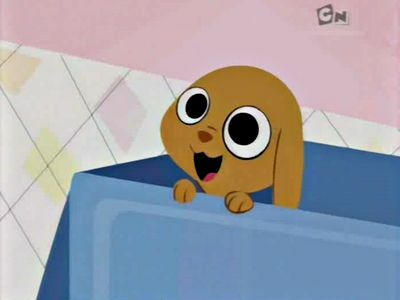 However, despite Eduardo's best efforts, the dog gets loose and starts causing problems that Eduardo takes the blame for in fear of the puppy being found out. 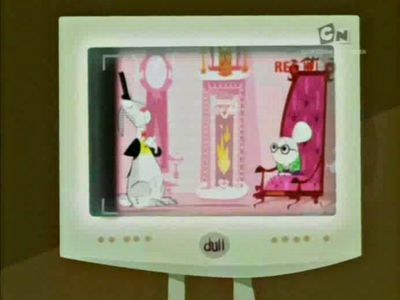 Will Eduardo manage to keep the puppy without Mr. Herriman finding out, or will the puppy be forced to leave due to Mr. Herriman's strict policy against dogs? The gang goes an arcade and everyone's winning lots of tickets except Bloo. 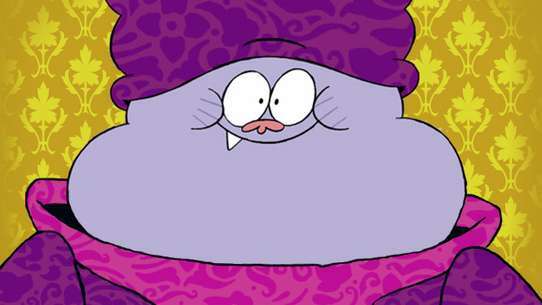 Bloo then becomes very interested in a prize that's 500 tickets: glow in the dark Dracula teeth. So Bloo wants them to give them their tickets so he can get one, but the others decided to collect all of their tickets and get a rubber elephant, which Bloo grows an obsession with later on. But when Frankie, who's holding the rubber elephant, goes to sleep, Bloo sneaks in and steals it. When he's playing with, it breaks. The only option is to go to the arcade and win 500 tickets to get another rubber elephant. Can he get the elephant before the others find out? 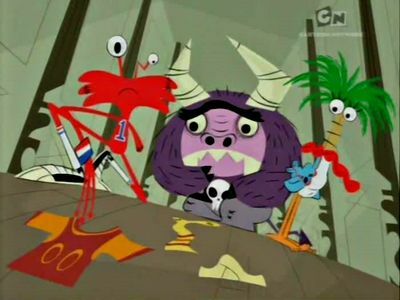 Bloo is jealous of Wilt getting special attention for the number of abandoned imaginary friends he brings to Foster's, so he tries to rescue imaginary friends just like Wilt does. 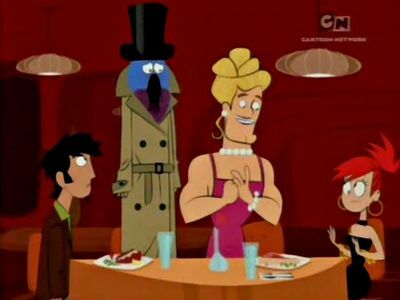 When Bloo finds a man in a cell-phone suit and thinks he is a friend, he takes him to Foster's, thinking everyone will give him more praise than they give Wilt. It's Adopt-A-Thought Saturday, an event that focuses on getting good friends adopted on the weekends when children are out of school. But Mac and Bloo find out after their good friend Jokey gets adopted. While the event is usually a good thing for both imaginary friends and those seeking to adopt them, Bloo doesn't want his friends to be adopted, so he works with Mac to try to find a way to put an end to the event. From atracting friends in the house with scented cupcakes to dropping plastic spiders, they try as many plans as they can. Will they be successful in prevent the adoption of their friends, or are their best efforts in vain? 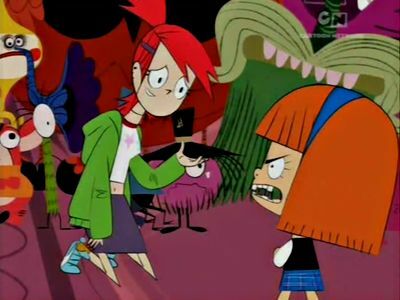 Mac and Bloo are using Frankie's digital camera to make video interviews for the new Foster's website, when they stumble upon Mr. Herriman indulging Madame Foster's whims and doing a little dance for her. Much to Mac's chagrin, not only do Bloo and Frankie show the embarrassing footage to almost everyone in the house, but Bloo uploads the film to the Internet. 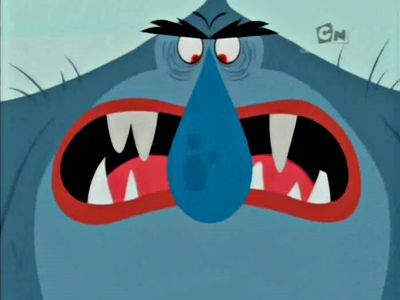 It won't be long before Mr. Herriman discovers he's become the latest Internet fad, and you can bet he won't be happy! Bloo finds out about a door in the home that everyone is forbidden to open. As he asks around about the door, no one tells him what is inside of it. 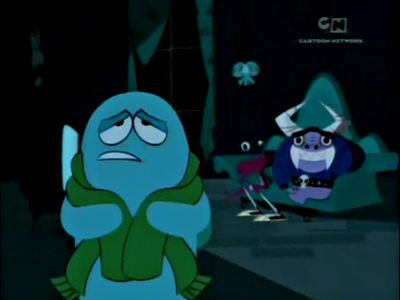 However, in the middle of the night, Bloo manages to sneak to the door and open it, but will he like what he has found or will his deeds cause untold trouble? Mr. Herriman isn't happy about Bloo being able to stay at the home indefinitely, and is getting on the little guy's case about the rules of the house. Unfortunately, when Bloo learns that Mr. Herriman will have him ejected from the home if he doesn't toe the line, Bloo gets so stressed out that he accidentally breaks a statue of Madame Foster! Bloo and his buddies will have to fix the "busted bust" before Mr. Herriman finds out and has Bloo thrown out on the street. When Foster's needs a new roof, Bloo bakes up a plan to sell Madame Foster's amazing cookies after his first attempt at selling lemonaid int he middle of winter failed. When they finally get enough money to buy a new roof, Bloo gets a "little" carried away and wants to become rich and make all the imaginary friends his servants! Will Bloo's business plan work, or will his treatment of the friends make his sweet success turn sour? A new imaginary friend has come to Foster's, but he keeps misbehaving all around the house. All other imaginary friends are taking the blame. That is, until Bloo comes up with his master plan! Blooregard plans to play the ultimate trick on Halloween after tying down Mac onto a bed preventing another sugar rush, but when things go awry, most of the main characters of the residence turn into zombies. When Mac visits Foster's, Bloo wants to show him something up on the roof, though when it's time for them to go back downstairs, they find themselves lost and unable to get downstairs. With Bloo becoming unstable due to hunger and Mac potentially getting in more and more trouble with each passing minute, will they manage to find their way back down before it's too late? Mac takes Bloo to school for show and tell. 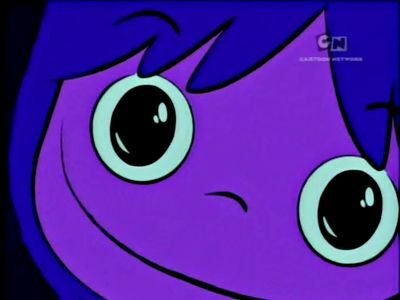 The kids love Bloo so much, that they imagine Bloos themselves. Tons of Bloos are created, and Bloo dubs them his brothers and himself leader, but will Bloo take it too far? Frankie and Madame Foster are leaving for a while, so Mr. Herriman is placed in charge of the house. However, Madame Foster inadvertently gives Bloo the idea to throw a wild party, and he plans to do so without Mr. Herriman's consent. 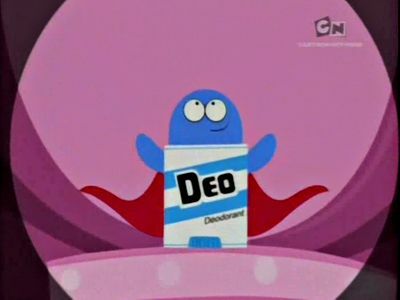 While they manage to come up with a method to distract Mr. Herriman, there is still one person that could stop the party, and that's Mac, though Bloo knows that with a little bit of sugar, Mac can be placed under control, or so he thinks. The series finale. 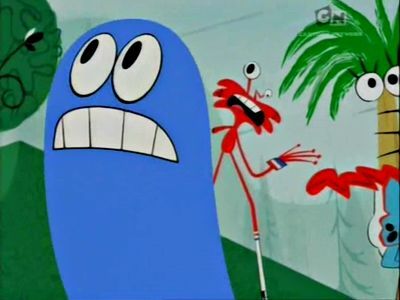 When Herriman tells Bloo that Mac is moving, Bloo decides to give him the best day ever, though things do not go as he plans. 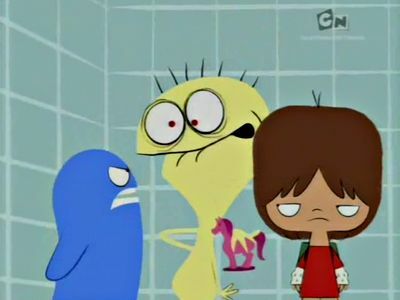 All day, Mac does things with everyone but Bloo, making him angrier after every disappointment. 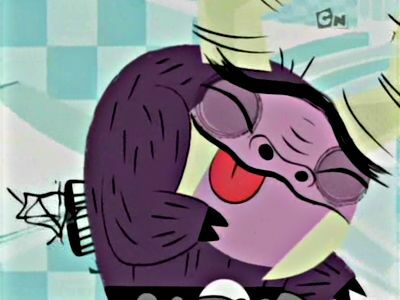 However to everyone's surprise/relief (and Mr. Herriman realizes he forgot to mention this), it turns out Mac is moving to an apartment (the one next door) that was held by Louise's family, and with Cheese unable to follow her because her new home doesn't allow imaginary friends, he moves into Foster's. 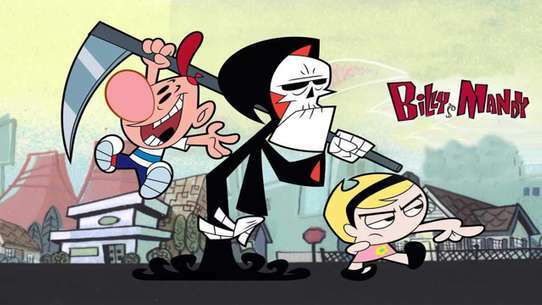 This was Craig McCracken's final project before he quit his job at Cartoon Network. A little dare between Mac and Bloo turns into a huge daring competition between the house members once Madame Foster gets involved. It's Madame Foster's birthday and Frankie has forgotten the one thing necessary for any party, the streamers! As Mr. Herriman orders her to go get some, Bloo, Eduardo, Mac, Wilt, and Coco tag along as well. They have five minutes left until they can leave, so they stop a one store and Frankie falls asleep in a vibrating chair and when she wakes up, everyone left to different places. Will Frankie be able to get to the party in time? Bloo and the gang arrive at Mac's house for slumber party that Mac didn't plan to have on a school night. But because they are all so loud, Mac's Mom could wake up and get them all into trouble. Will the slumber party be a success or a failure? Bloo and Mac enjoy playing with each other in the mud while raining, but sometimes there can be consequences. As Mac and Bloo get sick, causing Bloo to turn white and Frankie to take Mac home, Bloo misses out on the scary movie the friends planned to watch that night. 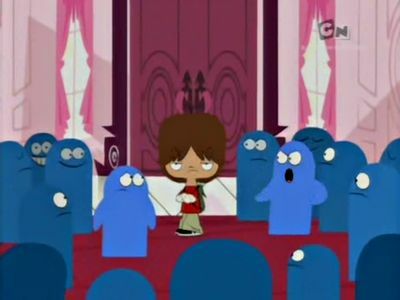 However, the movie scares the friends enough that they believe that the ghost is real, and they mistake Bloo to be the ghost. Will they be able to figure out it's him before they end up hurting Bloo or themselves in the process? 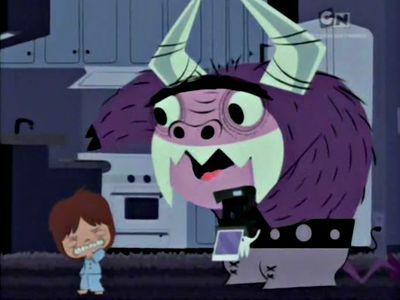 When Mac, a shy 8-year-old boy, is forced to give up his imaginary friend, Bloo, he finds the perfect place for him: Foster's Home for Imaginary Friends. There, they meet many of the home's residents, like Eduardo, Wilt and Coco; as well as the home's staff. 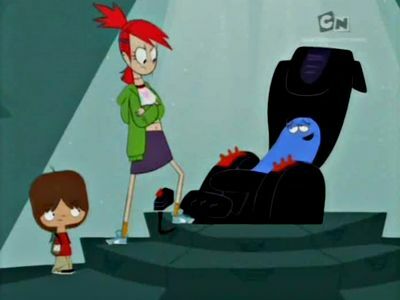 Their problems appear to be solved until it is revealed that Foster's is an foster home and adoption center, and, if Mac isn't there at the time someone tries, another person could adopt Bloo. To make matters worse, a sinister plot by the evil imaginary friend Duchess, uses Mac's 13-year-old bully brother, Terrence, and puts Bloo in peril. 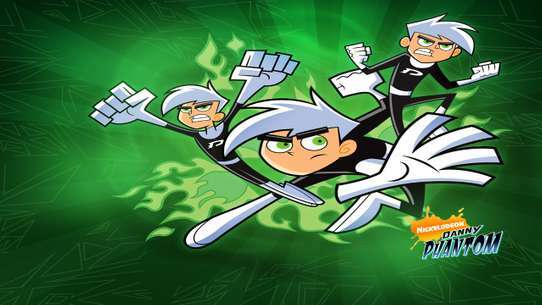 Now Mac and his new friends from Foster's must work together to save Mac's best buddy Bloo. When Mac taks his classmates on a field trip to Foster's, everybody loves Coco and Bloo wants all the attention after Coco lays eggs with imaginary friend trading cards. Soon, when Bloo throws eggs at everyone, they run away and now Coco hates Bloo. 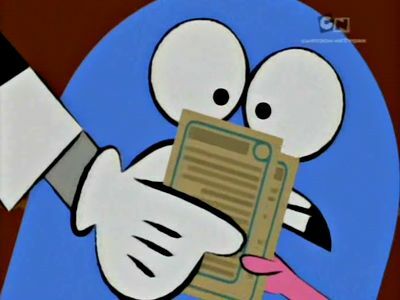 When all the friends start trading and collecting the cards, soon Bloo gets intrested and starts to collect them all. Will Bloo collect all of them without Coco's help? Eduardo runs away from the home to prove that he's not a coward. Meanwhile, Terrence is looking for an imaginary friend to compete in the Extreme-O-Saur Battle, and he comes across Eduardo. 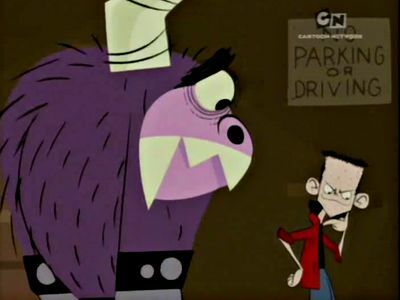 Terrence uses him to fight against huge imaginary friends at the dumpster. 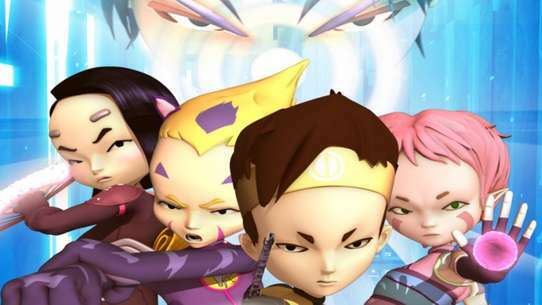 Mac, Bloo, Wilt, and Coco must search for Eduardo. One morning, Mac wakes up to find that he's unintentionally created another imaginary friend named Cheese. Madame Foster allows the same rules as there are for Bloo, but Bloo does not approve of his new brother. After many attempts to get rid of him, Cheese disappears on his own. Bloo realizes that Foster's could be a very dangerous place for one so stupid as Cheese. 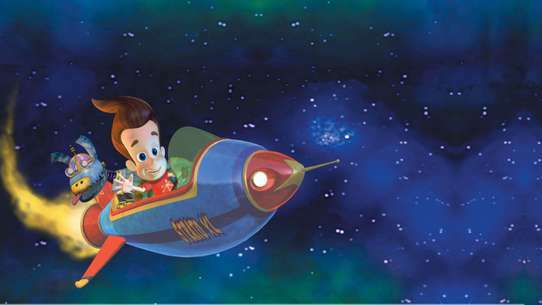 Can he find him before something happens or Mac notices Cheese is missing? Foster's is being put on TV, and Frankie wants everything perfect. Meanwhile, Cheese keeps appearing at Foster's, even after being told numerous times that he doesn't live there. So, in an attempt to keep him out, Mr. Herriman installs a security system. 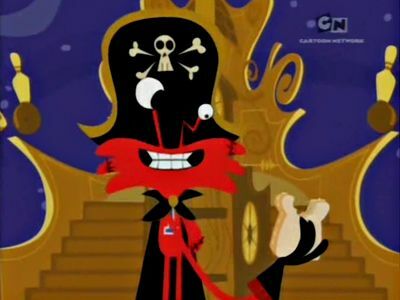 Unfortunetly, due to misreading the directions, nobody knows the password except for Cheese, who saw Herriman input the code. But everything the gang tries to get the password out of Cheese fails, and the news crew is only around the corner. Can the gang succeed and get the password out of Cheese? Mac makes a home movie about Foster's Home for his school project, but Bloo edits it into a blockbuster hit. This leads him to be entered in the state student film festival. With Bloo's help, they make T-Rexatron III Alien Wolfhound, A Prequel In Time: The Unrelenting. 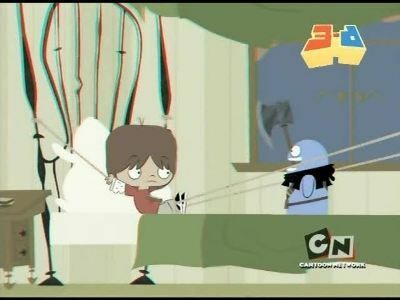 Eduardo, though, thinks he has a problem breaking wind when it was Bloo doing sound effects and doesn't want to be in Bloo's movie which forces Bloo to make him to a computer animated character in his movie. What happens at the wrap party and how will the movie turn out?